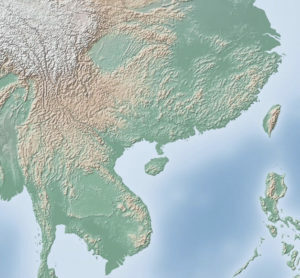 AUSTRALIAN NATIONAL UNIVERSITY—Researchers at The Australian National University (ANU) have uncovered a previously unconfirmed population boom across South East Asia that occurred 4,000 years ago, thanks to a new method for measuring prehistoric population growth. Using the new population measurement method, which utilizes human skeletal remains, they have been able to prove a significant rapid increase in growth across populations in Thailand, China and Vietnam during the Neolithic Period, and a second subsequent rise in the Iron Age. Lead researcher Clare McFadden, a PhD Scholar with the ANU School of Archaeology and Anthropology, said the population trend was consistent across samples taken from 15 locations. “We saw huge population growth associated with the agricultural transition,” McFadden said. “Up until about 4,000 years ago you have hunter gatherer type populations, then you have the introduction and intensification of agriculture. The reason these population changes have never been quantified before is because the tools used to measure prehistoric populations were all designed for Europe and the Americas where archaeological conditions are different from that of Asia. Ms McFadden said the difference comes down to how children are represented in population numbers. “For skeletal remains in Europe and America we often see the complete absence of infants and children, they are very poorly represented,” she said. “The preservation isn’t good – small bones don’t preserve well. Children are also thought to often be buried in a different cemetery to adults. Ms McFadden said her new method for determining the rate of natural population increase takes into account the proportion of infants and children compared to the total population. This way researchers were able to bring population growth figures in line with other archaeological evidence in the region which suggested a rapid rise. “In South East Asia and the Pacific, we actually have pretty good preservation of bones from children,” she said. “The skeletal evidence was there, we were seeing populations with huge numbers of infants and children compared to the adult populations, which suggests it was a growing population at that time. But the existing tools weren’t detecting that growth. Article Source: Australian National University news release. The study has been published in a paper in the Journal of Archaeological Science.